On March 26th 1999 one of the pioneering scientists in the field of electron diffraction, Peter Goodman, passed away in Melbourne, Australia. Peter had a long-term heart problem and though recently his health had been failing he was still active in research and supervising students. He is survived by his lifelong partner, Pat and their three children David, Robin and Richard, and five grandchildren. We have collected here contributions from many of Peter's colleagues which illuminate aspects of his outlook and achievements from a variety of perspectives, and we hope this mosaic reveals something of his character. It is no exaggeration to say that the work he, Alex Moodie and Gunter Lehmpfuhl undertook established an entire field of science, which has since been taken up by many groups around the world. Peter performed world-class work on electron diffraction and his very careful and thorough work set extremely high standards for all other scientists involved in electron diffraction and microscopy. He published a number of absolutely seminal papers in the field. Peter's interpretation of the symmetries appearing in CBED patterns, which was published in Nature (1974), opened up a new determination method of crystal point groups. The method was described in a very beautiful paper of Buxton et al., the Bristol group. The first result to be published (1964) from the work with Gunter was in fact the observation (or confirmation) of the condition for dynamical extinction in kinematically forbidden reflections. As Jon Gjønnes remembers, Peter was briefly back in Oslo some time in 1963, when he explained his experiment, and that he wanted some results to publish before he was due to return to Melbourne. He mentioned some nice CdS-crystals, and Gjønnes had suggested that his experiment would allow this condition to be observed in the forbidden 001-reflection of the Wurtzite-type structure. Which was what he and Gunter did, and they submitted the paper before Peter left. This is now the fundamental method used for space group determination. This was, of course followed by the other work on CBED-profiles for precise determination of structure factors - and on the deviation from Friedels law for determination of the full symmetry (beyond the classical `diffraction symmetry'). The relation between the extinction lines and glide planes and screw axes was finally clarified by Gjønnes and Moodie. The formation of the extinction lines for all the space groups was later tabulated by Tanaka et al. Peter described the space group symmetry theory of the CBED method in the recent revision of the International Tables for Crystallography, Volume B. Collaboration with Peter had a strong influence on the scientific development of many active researchers in materials science, especially that of Gunter Lehmpfuhl. Peter's intention was to compare experimental observations with theoretical considerations. With the development of modern computers higher approximations in theoretical treatments could be used in simulations for comparison with experimental observations. The agreement between prediction and observation and the sensitivity to several parameters was fascinating. So Gunter started to use computer techniques for the interpretation of the intensity distributions in rotating crystal experiments. This was the period in which the dispersion surface could be first recorded. It was a large step from using a slide rule for the interpretation of diffraction observations following the two-beam approximation to a more sophisticated computer treatment of many-beam interactions. When Peter and Gunter met first in Berlin, Peter smiled at Gunter's slide rule. He already used mechanical computers. But when Gunter came to Melbourne in 1965, he was shown a slide rule! However, at that time the large computer was already installed in CSIRO and Peter showed Gunter the first results of his many-beam calculations which Gunter tried to reproduce in Berlin in 1966. Back in Berlin in 1966 a diffraction camera, similar to the one constructed by Peter Goodman and Jock Mills based on Peter and Gunter's experiences in Melbourne, was constructed in the Fritz-Haber-Institut with the help of Harry Pühl. In the years following the Berlin period Gunter and Peter were in more or less close contact. Because of health problems this contact could not be intensified as desired. However, there was a very fruitful exchange with colleagues working for some time in the department of Professor Molière. Gunter was also fortunate to be able to stay on two occasions for half a year at CSIRO, 1965 invited by Peter and 1984 invited by Walter Dowell. Another person whose early scientific career was strongly influenced by Peter was David Cockayne. David first came to know Peter when he was sent as a student to help him and Alex Moodie build the early convergent beam electron diffraction camera at CSIRO in Clayton, Melbourne. David was advised that Peter had a heart problem, and that David's task was to relieve him of some of the workload. Anyone who knew Peter would know what an impossible task that was. From morning to late in the night, Peter constructed the instrument, with Alex as overseer and David as the apprentice. It was an environment full of enthusiasm and expectation, where a young researcher could not fail to be swept up in the pleasure of science. Peter was no tinkering scientist - he showed immense flair in designing equipment and experiments, he tackled the difficult problems, and he showed a mastery of experimentation that overcame technical barriers which would have stopped most others. Throughout his life, Peter was an enthusiastic mentor of young researchers. He did not have the formal skills of the teacher - indeed many are the anecdotes of his lecturing style - but he taught by example, and he was infinitely patient and attentive. Many young researchers benefited from his teaching, and he would go to great lengths to try to explain even the most difficult concepts. There are many stories that are recounted about Peter, and we cannot possibly relate many here. The following anecdote noted by Colin Humphreys reflects something of Peter's character. Some years ago Peter and Colin were at a Conference in Japan. At the end of the Conference they went to the JEOL Electron Microscope factory and on leaving the factory both had a JEOL car for the very long drive to the airport. On the way to the airport Peter several times asked to know the time because he was concerned that they might miss their flight. Colin asked Peter if he had forgotten his watch and Peter replied that he had never in his life ever owned a watch! He went on to say that many people regarded him as absent minded, but a large part of this was because he did not own a watch and hence he was frequently late for meetings, late for dinner, etc. The Japanese salesmen in the car overheard this conversation Colin was having with Peter and immediately instructed the driver to divert from going to the airport and to call at a shop which sold watches. Peter mildly protested, but to no avail, and Peter selected a rather handsome watch. Colin does not now remember whether Peter or JEOL paid! We know that Peter was very proud of his watch and whenever Colin saw him in the future he would be reminded of this occasion and display his watch to Colin. We're not sure however that it made him any less absent minded! Peter was concerned with space group determination until the end of his life. That is, he wanted to discover a distinguishing method of the two sets of space groups (I222 and I212121) and (I23 and I213), which Michiyoshi Tanaka had given up long ago. He eagerly proposed to Michiyoshi a collaboration to find a way to distinguish them in 1997. Professor Tanaka applied to the Ministry of Education of Japan for the financial support of this international research project and this application was accepted as a one year project in 1998. In October 1998, a colleague was sent to discuss their preliminary results with him, but unfortunately Peter appeared less vigorous for advancing the discussion. Just before his passing away and the end of the project term, Michiyoshi's team at length succeeded in solving the problem: the two space groups can be distinguished by the coherent CBED method. It was to Michiyoshi's great regret that he could not let him know the result. In his words - ``I did not think at all that he ascended to heaven so suddenly''. It was a very memorable circumstance for Michiyoshi Tanaka to learn the CBED method from Gunter Lehmpfuhl using just the apparatus which Peter and Gunter had constructed. Michiyoshi felt at that time that the method was the last dynamical diffraction problem to be left unsolved and this problem was to captivate him to for over 30 years. He could not envisage his research life without Peter's pioneering work. Early in 1983 the late Arthur Wilson and Uri Shmueli were planning Volumes B and C of International Tables for Crystallography. Since the old Tables dealt with X-ray crystallography alone, and the attribute `X-ray' was now omitted, electron and neutron diffraction came in. This is how Uri first contacted Peter, the Chairman of the IUCr Commission on Electron Diffraction in those years. Largely thanks to Peter's valuable advice, electron diffraction is represented in Volumes B and C of the International Tables. Peter contributed to Volume B a section related to his own expertise: convergent-beam electron diffraction, and also participated, with Alex Moodie and John Cowley, in contributing to Chapter B.5.2: "Dynamical Theory of Electron Diffraction". Uri greatly valued his constant interest in the presentation of his material to readers, as evidenced by extensive revisions during the preparation of both the first and second editions of Volume B. Less than a year before he passed away Peter decided to replace his Section by a completely updated version and they started a new round of correspondence. Peter's plans were truncated by his illness but he never lost hope to resume his work, even a short time before his untimely death. Uri and Peter met several times during the 1984 Hamburg and 1987 Perth IUCr Congresses and had much more than casual exchanges of greetings. Peter was very kind, had a quiet but good sense of humor that Uri liked and respected him very much for. Family contacts were very important to many of Peter's collaborators. At first in Berlin and then 1965 in Melbourne, where the Goodmans showed the Lehmpfuhl family the beauty of Australia, and also later in 1984/85, the Lehmpfuhl and Goodman families enjoyed time together. The last time both families met was in 1996. Gunter remembers very clearly when they spent two days in Christopher Creek, Arizona, after John Cowley's 70th birthday celebration. Gunter and his family are grateful for these family meetings and they will keep Peter alive in their memories. Peter contributed in several important papers to the subsequent development of CBED-technique. But he appeared less interested in exploiting his ideas in a systematic way by perfections and applications. He will be remembered as an experimental pioneer, with an analytical mind that was immediately apparent to those who met him. He was, of course, also a product of the uniquely generous scientific environment that had existed in the Chemical Physics Laboratory of the CSIRO, Melbourne. He was appreciated very much as a scientist, and as a friend. Peter was not constrained by convention in his attitudes and outlook, whether at the level of the formal niceties of polite society or the politics of institutional hierarchies. He expressed a subversive sense of humour toward the display of rank in such structures and its attendant pomposity, and in some narrow-minded and intolerant environments he did suffer the consequences. Perhaps something like "dogged persistence despite initial skepticism" would be an appropriate phrase to describe his attitudes. Once Peter got an idea into his head there was no stopping him. Most of the students Peter supervised, including those recent students, have got a lot to thank him for. His contributions to the field of electron diffraction and structural studies are indelibly written into the history of the subject, and will be abiding. His early convergent-beam work showing that dynamically-calculated intensities are well-matched by experiment opened up both the field of quantitative electron diffraction and the exploration of symmetries - leads which have been followed by other groups, including the fine work of the Bristol and Arizona and Norwegian Schools. 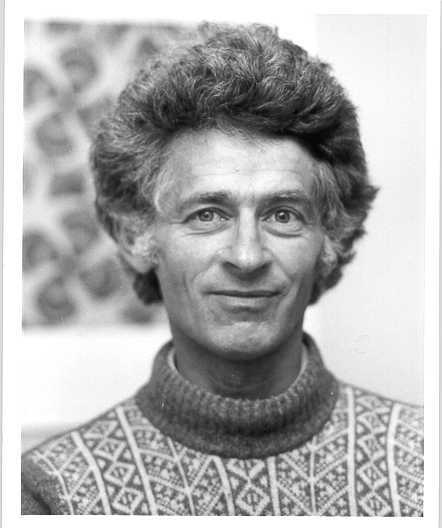 Peter was an enormously valued colleague, who had deep collaborations with many of the leading diffraction theorists of the day, including Alex Moodie, Gunther Lehmpfuhl and Jon Gjønnes. His publications were always meticulously accurate and worthy of careful study. He was a great electron crystallographer in pioneering the CBED method and his name will be definitely transmitted through the ages. We concur with the words of Michiyoshi Tanaka - "I pray for the repose of his soul".